Depends on Business Type and Competition. 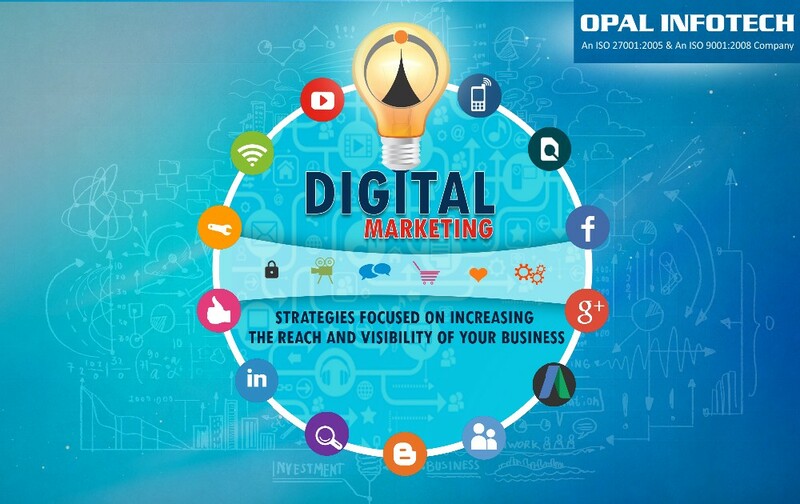 Digital marketing is required to highlight your business in digital world. Your presence on digital platform is one thing and how many people can see you and recognise your business on this huge platform is a different aspect. Strategizing the digital marketing in accordance with the kind of business you have and your target audiences is the first step towards empowering your business. 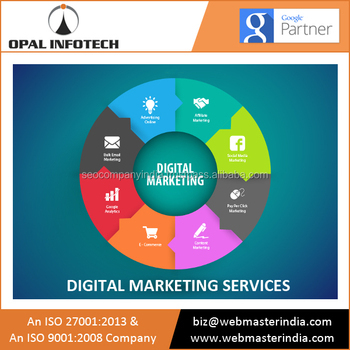 Digital marketing is a huge term and consist of various aspects. These are market research, planning marketing strategy and implementing them to bring powerful results for ultimate growth of your business. 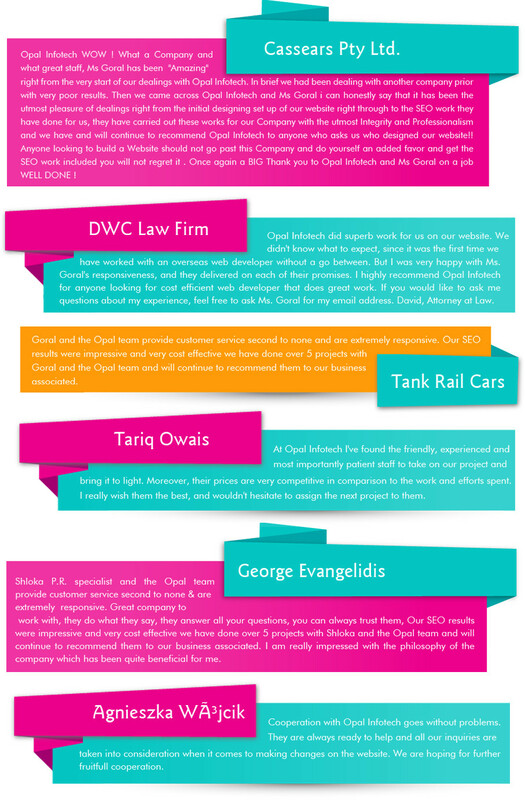 Competitive Digital marketing can help your business in various ways. It can be used for Brand development, campaign development, targeted marketing, building corporate identity, which will eventually boost your business and will help you sustain in the competitive market. We have a team of digital marketing experts who can understand your business goals and plan the effective marketing strategy as per your business needs. We extend our digital marketing services that includes various components like Search Engine Optimisation (SEO), Social Media Optimisation (SMO), Paid Searchand Social Media Marketing. 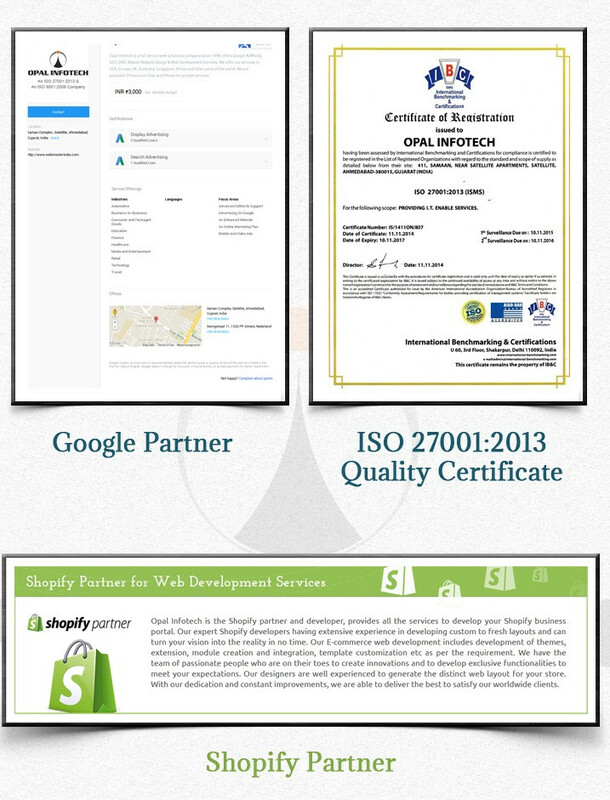 Opal Infotech is an ISO 27001:2005 & ISO 9001:2008 certified web solution Provider Company in India since 1998. 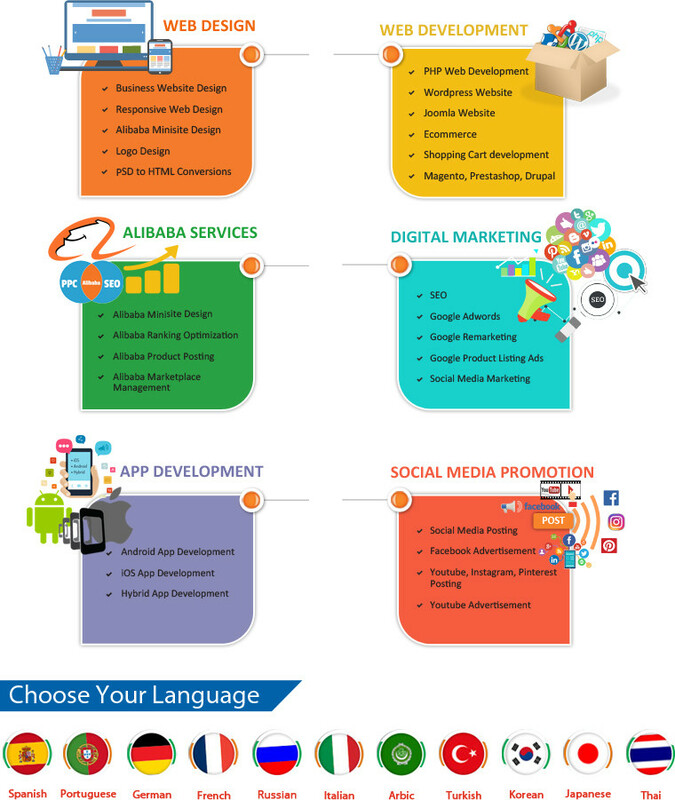 Our wide range of digital services include web design and custom development, mobile apps development for Android, iPhone and other platforms, SEO, Google AdWords (PPC) Campaign, Google Product Listing, Google Remarketing, Google Interest Marketing, Alibaba Minisite Design, Alibaba Ranking Optimization and Social Media Marketing etc. 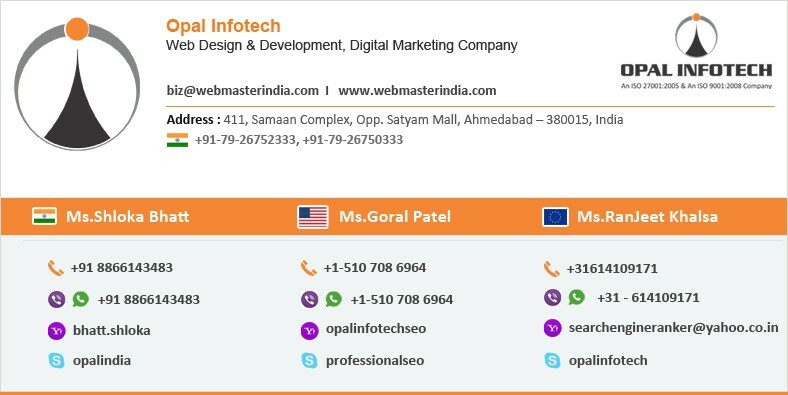 At present Opal Infotech has client base in more than 55 countries including reputed business houses, personalities and outsourcing IT companies from USA, Canada, Europe, UK & Australia. We follow the international standards for web related development and services. We provide the quality web based solutions to our client in India and across the globe. Our core strength is our years of experience in assessing the business online requirements, concept visualization, content management, implementing cutting edge technology for web creation, software programming, and digital marketing in a cost effective way and on time project delivery to meet the client’s expectation and our ultimate goal “Client Satisfaction”.